YouTube is turning to PayTube. At least for some channels and videos. The Google-owned website looks primed to go ahead with a new subscription service for users, though it's not yet clear if it will be ad-free. Money, of course. While much of YouTube's content is free, it's set to create a subscription platform for certain partners that will generate revenue - revenue beyond the usual YouTube ad-placements. The revenue is needed, it's claimed, given that online advertising contributes little yet to TV and movie budgets. 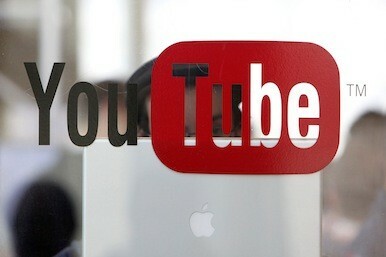 Through major studios, YouTube has rented and sold TV shows and films online for some time. But the FT claims a fresh move to increase revenues for TV and film studios will see as many 50 YouTube specialist channels charging $1.99 a month, though nothing is confirmed from YouTube yet. YouTube did tell the FT a new subscription platform could "bring even more great content to YouTube for our users to enjoy and provide our creators with another vehicle to generate revenue from their content, beyond the rental and ad-supported models we offer". YouTube also needs to recoup some of the cash it's lashed out on advances to new start-up channels its invested in. So some more competition for the likes of Netflix, which has more than 30m US subscribers. The Hollywood Reporter also claims there has been an increase in interest from Hollywood studios to produce YouTube content. But the problem for many YouTube users will be adjusting. For too long, it was all there on YouTube - from news to sport to out-of-control Justin Bieber fans to the World's Rudest Dog. That's starting to change - or perhaps not if YouTube doesn't get the quality right.